Let's make better software: How can DevOps contribute to Digital Transformation and Innovation? When we talk about Digital Transformation, we soon think of innovation, technology, e-commerce, social networks, mobility, among others, as well as transforming something that was physical into digital, such as banking services, which were previously offered through physical banking agencies and are now available through internet banking, bringing all the convenience to the end user with high availability and without restriction of time or space. However, for a company to transform digitally and innovate, we must develop and make available new services and products that generate value for the business and that allow the user a rewarding experience in the use of these services or products. It is necessary to go beyond simply providing an e-commerce or an app on Google Play and the App Store. A cultural change is essential. 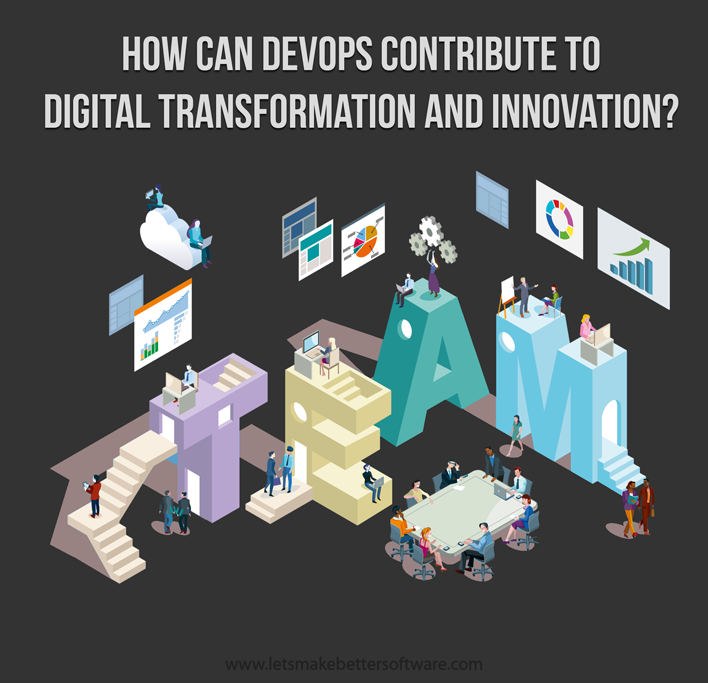 In this article we will discuss the importance of DevOps to help companies in the digital transformation and innovation. Agility in deliveries is essential in this transformation process. But before we go there, we will take a look some basic concepts that are behind DevOps. DevOps is the result of a join between Development and Operations. According to the precepts of this term, those responsible for creating or improving software should act in an integrated manner with the professionals who maintain the applications on a daily basis and also with the IT infrastructure that supports those systems. DevOps proposes, therefore, the union between creation and maintenance of IT solutions in order to create a process of continuous improvement. In a way, this concept opposes the traditional way of development, which is the delivery of large program releases after a long development process. In this scenario, it was the job of technicians to simply deploy software according to the needs of the customer and keep it working. The software only advanced when a new version was developed and released. In DevOps, Development teams and IT infrastructure managers work in constant communication to improve services over very short periods of time. In this way, errors are promptly analyzed and corrected and improvements can be incorporated into the solution much quicker than before. For how projects are conducted in companies, DevOps brings benefits of time optimization and effort by proposing smaller development cycles, collaborative work, and breaking paradigms between the areas involved. In addition, it always aims to generate revenue and avoid unnecessary costs. Working with DevOps also brings benefits such as integration with trends such as Cloud Computing (including hybrid clouds), PaaS, SaaS and IaaS, which together reduce operating costs considerably and make maintenance much easier. The development is completely focused on the effective challenges of the client, implementing and delivering solutions almost immediately. Automation tools and dashboards help more easily track metrics and results, provide means of automated deployment processes and quality assurance tasks. DevOps facilitates teamwork and communication across previously strongly seperated departments of the organization, aiding your team building efforts and reducing silos. It manages to raise the quality of collaborative work and helps teams become more receptive to cultural change and see value in this measure. All this helps the company to meet processes and demands with greater excellence, supported by the use of automation tools and results. In the end, always focusing on a promising cultural change to positively transform the way the company does business. How to make DevOps work? 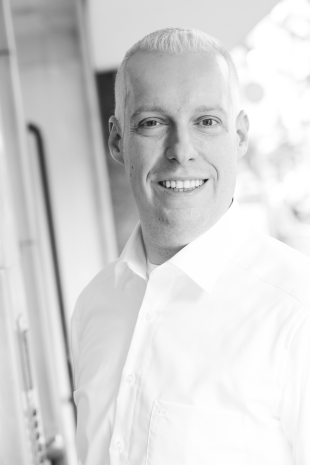 Making DevOps work effectively in IT requires some profound changes. First, it is necessary to integrate areas that, until recently, were considered as very distant: development and operations. To put these professionals side by side, one must work on aligning processes, policies and protocols, ensuring that integration is organic. It is also necessary to invest in resource automation and standardization of responses, ensuring that solutions follow an agile and predictable flow, bringing concrete results. The agility resulting from automation and process standardization is reflected in the reduction of repetitive tasks by IT professionals - both Development and Infrastructure. With this, the employees are released to work in more creative activities, with greater potential for innovation. Have you noticed that DevOps will help development teams and operations deliver software in a more agile and less bureaucratic way? Now going back to the main topic of the article, how will this aid in the process of innovation and digital transformation? It is not enough for the company to digitize its front office and keep its back office bureaucratic and slow in responding to market needs and/or poor after-sales service or the lack of skill and speed in solving problems that are demanded by the business, users and customers. The focus should be on the clients and how to meet their needs, solve their problems effectively, efficiently, simply and innovatively. This takes into account the entire lifecycle of the service or product, that is, from its design to the user experience. It is essential that companies work to establish a trust bond among their customers: to really know how to listen to it and respond to its problems with quality and safety. The processes that involve DevOps can contribute to the generation of innovation and also to the digital transformation in companies. This is because, at the same time, it focuses on process automation that touches the software development lifecycle, contributing to the digitization of previously manual activities such as validation of software code quality, testing, and software releases, this model also increases the level of quality and security of the applications. With the implementation of DevOps, agile development practices such as Scrum become natural because they focus on software deliveries with fast cycles. In addition, through the operation team, proactive monitoring of the applications that are made available to users is performed. Does the concept of DevOps apply only to IT? As DevOps has emerged in the Information Technology environment, it is already a reality in this area today. However, its basic principles can also be broadened, reaching different areas of the organization. The important thing is that the goal is to streamline processes. After all, integration can be the key word to make the marketing, sales and after-sales sectors more attuned, ensuring improvements throughout the whole client engagement. Likewise, logistics and the financial and tax sectors can reduce their costs by investing in updating their own internal procedures. With the practices that involve DevOps, it is possible to have agility, either in the time to market or to respond quickly to problems identified by the user experience, continuously improving a product or service. Furthermore, coupled with Big Data technologies, it is possible to extract useful information which can bring a huge competitive advantage over competitors as well as evolve into predictive analytics. In addition to a cloud infrastructure, it is possible to be prepared for demand peaks in a safe and high level of efficiency for the availability of these services to users. If your company is looking for innovation allied with efficiency, focusing on the user experience, you need to start to embrace the concepts of DevOps today.